A collection inspired by crystallised violet, sugared rose, lemon drops, sorbets and peppermints? Yes, please! Yves Saint Laurent's Candy Face collection is as mouthwatering as it sounds, with juicy glazes for cheeks and lips and intensely bold, bright eyeshadow colours. The blush shade I have is the palest and sadly it doesn't show up on my face, but would be perfect for those with pale or fair skintones. It also comes in red, lilac and coral shades and I'll certainly be purchasing one of these, as the texture is blimmin' gorgeous: a light, sheer, water-based gel that melts into cheeks for a touch of barely-there colour. As a big fan of YSL's golden glosses, Golden Violet didn't let me down. It's a vivid, blue-based fuchsia shade with shimmery golden particles, and that gorgeous signature YSL scent that's carried across all the brand's cosmetics. The collection also includes two brightly-hued eyeshadow palettes (that's them pictured above), two new shades of Rouge Volupte Perle lipstick and four juicy shades of Volupte Sheer Candy baume gloss in red, purple, pink and tangerine. New nail polish duos in orange/pink and chocolate/mint round out the collection. Candy Face is on counter now; prices range from €30 -€32 for the lip products, €38 for the blush and the nail polish duo, €55 for the Vinyl Candy palette and €57 for the 5-piece shadow palette. What do you think, do you like what you see, or are you sweet enough? I love gel blushers! They are the best. Haven't tried YSL before. Same goes for their nail polish! Is it good? I'm really fussy over consistency (you know, not too runny, but yet doesn't go gloopy too fast either...) The orange shade is gorgeous! Oh my god I love love these colours! The colours really are stunning, I'm not sure I could pull them off though. @little t, I haven't actually tried any of the YSL polishes but the quality of all the products I *have* tried has always been exceptional so I've every faith the nail polish would follow suit. Such a pretty collection, that gloss is gorge! Lovely collection - would love to get my hands on that lip gloss ! 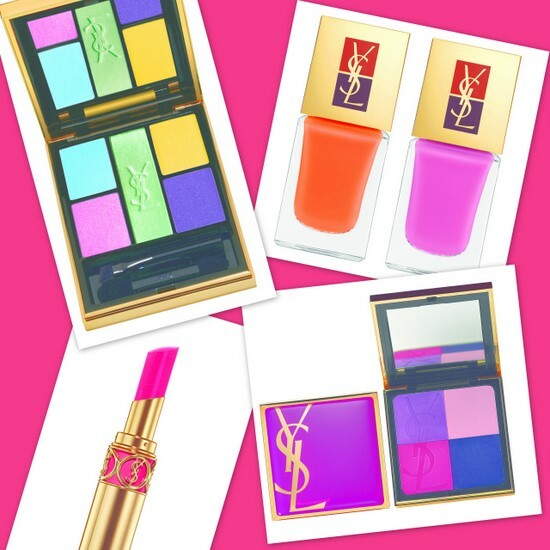 So glad to see a bit of colour coming out this season, love the palette from YSL!! I'm dribbling a little...... love it all!! This collection looks fab, I might have to have a look at these person. @Sarirah, it's probably not for you if you're a neutrals only girl ... though the blushers aren't too in your face at all, maybe check them out? 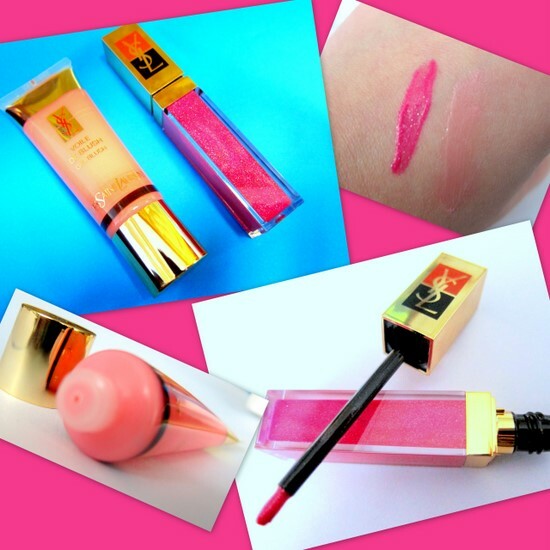 I love the bright pink lipgloss, so lush ! I do love the palette with the 5 couleurs only the packing could be better for such a top brand no velvet pouch to store in it. As chanel and dior always do. I have the two shadow palettes, and adore them! I've used them quite a lot on shoots this summer...sweet as...!